﻿The Clerk to the Burial Board is Jodie Bailey who is also Clerk to the Parish Council. Please note that the office has limited opening hours. 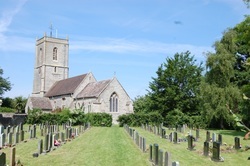 Burials, interments of ashes or erections of memorials can only be carried out with the permission of Pucklechurch Parish Council and the owner of the exclusive rights of burial (unless it is to inter the owner of the exclusive rights). Click on the buttons below to access further information or to download documents you may need.